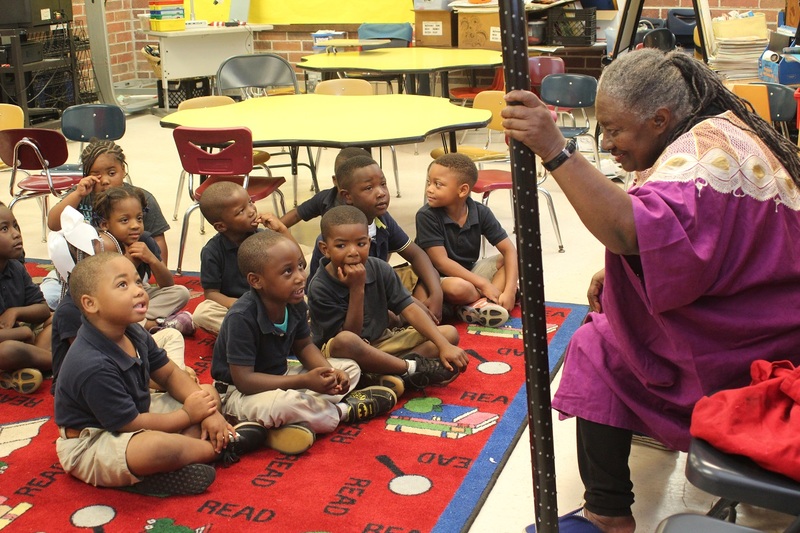 In 2016 and 2017, BBTCAC Staff identified and trained regional “Black Belt Treasures Teaching Artists” to present approved programs in Clarke, Dallas, Hale, Lowndes, Marengo, Monroe, Perry, Pickens, and Wilcox, which have been funded by grants from the Black Belt Community Foundation and the Community Foundation of South Alabama. BBTCAC works in cooperation with the Alabama State Council on the Arts and the Alabama Alliance for Arts Education to ensure that Teaching Artists are prepared to present quality programs. The first workshop and training session for Black Belt Treasures Teaching Artists was held on Tuesday, September 27, 2016 with 24 artists in attendance, and was led by Diana Greene, Arts in Education Program Manager for the Alabama State Council on the Arts, Tara Sartorius, Alabama Alliance for Arts Education Program Director, and Kristin Law. The second annual gathering and training was held on Wednesday, December 13, 2017 with 23 artists and educational partners in attendance. Grant funding supported programs in the first nine (9) counties, which took place over the 2016-17 school year. Teaching Artists have been placed in regional schools in the first half of 2017-18 school year, and additional projects are currently being added. Each project will incorporate regional history and culture; storytelling; encourage students to contribute accurate, relevant information; make comparisons and contrasts; and analyze and produce a multitude of creative ideas. In addition, a Black Belt Treasures Teaching Artist Roster is currently being compiled to make classes, workshops, demonstrations and programs available to schools, community programs, non-profits, and art centers across the Black Belt region, and ultimately the state of Alabama. Each trained and approved Teaching Artist will be added to a print and online roster, which will showcase: a short biography of the artist, a list of classes/workshops available, sample lesson plans, arts integration information, and options of class structure (hourly, half-day, full-day, 2 day, week-long, and residencies). If you are an Artist and interested in joining our Teaching Artist Program, contact Kristin Law, Art Programs Director, at (334) 682-9878 or kristin@bbtcac.com.